Auto – Immune Disease is aa result of Chronic Inflammation, created through diet, environment and toxic emotions. The body has the substrate to heal, Our Micro biome ( Gut Flora) Is as unique as our fingerprint. 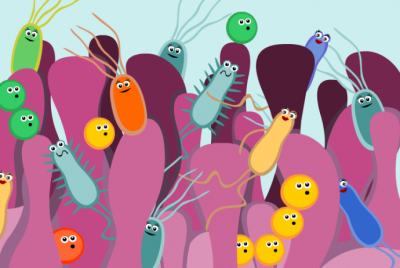 Microbe levels in the Gut are bacterial or parasitic. Alternative Medicine is not a one size fits all medicine, Alternative Medicine is individualised and can change everything according to the person’s flow of energy, finding the balance and trusting your own body. There are many ways to finding the Triggers, if you tired of relying on drugs to just make it through the day to solve Chronic Fatigue, IBS, Inflammatory Bowel Disease, Constipation, Diarrhoea or just feel uncomfortable in your body, find the underlying root cause and start healing from within, reduce pain and discomfort. Our organs have an emotional and a spiritual component, the time we wake up in the middle of the night, determines what organ is out of balance in the body. Science is slowly catching up to what Ancient Medicine has known for years. I would suggest testing your liver, kidney, pancreas and spleen – One needs to know what the body is digesting and what it is absorbing. Leaky Gut can create havoc in Auto – immune, resulting in acute inflammation. Causes can be due to poor enzyme deficiency, food sensitivity, bacterial insufficiency, yeast overgrowth etc .For a strong Baseline Assessment, Intra – cellular analysis tests are very successful, comprehensive stool testing, a 72 hour test which looks at over 2000 organisms, and Lactose Urine Tests. Superfoods and Nutrients work 100’s of receptors in your body, we need Functional Nutritional Medicine to balance our systems. All our Hormones communicate with each other and the rest of the body. Food Is The Drug Of The Future, accept this as reality and make those changes in your life. Book an appointment and let us help you find your unique lifestyle Program.